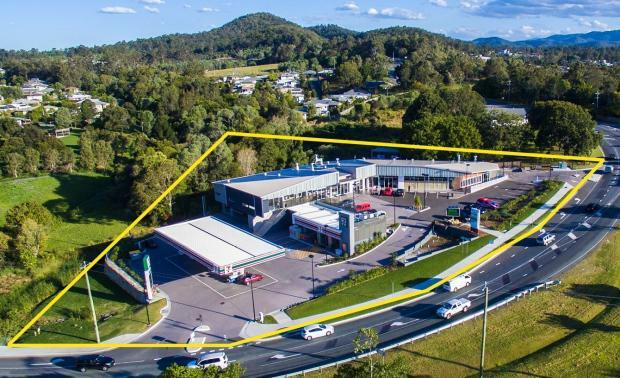 A fully leased 7-Eleven service station and retail complex at Oxenford on the northern Gold Coast has been sold at auction for $8.92 million. Strategically positioned in the heart of a new housing estate, the property at 141 Maudsland Road, Oxenford, was sold under the hammer to an interstate buyer by Michael Willems of Ray White Commercial Gold Coast on behalf of a local owner for a yield of 7.56 per cent. Mr Willems said the in-room auction attracted 10 registered bidders with strong interest in the property from local, interstate and overseas investors. “There was considerable interest in this investment opportunity anchored by the 7-Eleven service station, which has just leased the site until 2026 with 2 x 5 year options,” he said. Mr Willems said the commercial complex is less than 12 months old and on a high volume traffic road in the heartland of the Riverstone Crossing Estate, where 1,000 new homes are being bult. “The property offers a net lettable area of 2,267 sqm, including 1,040 sqm of 10 retail shops,” he said.